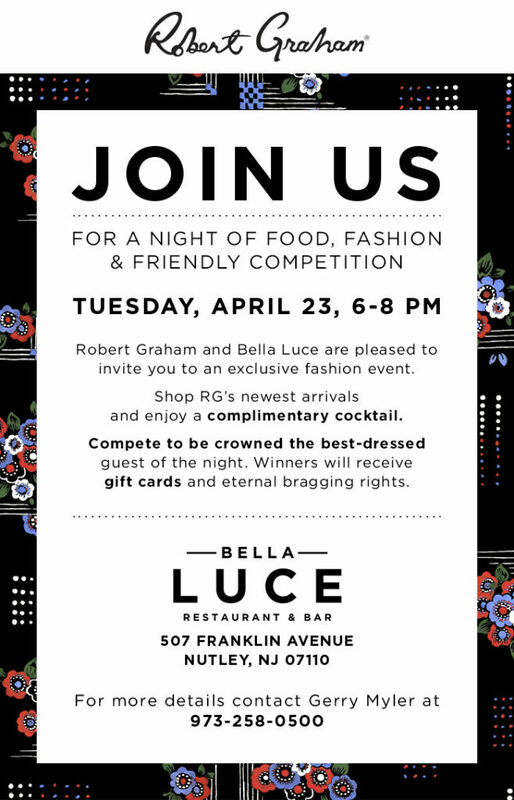 Robert Graham and Bella Luce Restaurant & Bar invite you to a night of Food and Fashion at Bella Luce on Tuesday, April 23rd, 2019 from 6-8pm. 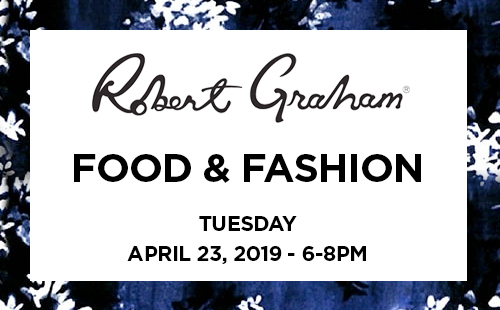 See Robert Graham’s new arrivals and enjoy a complimentary cocktail. For more information, contact Gerry Myler at 973-258-0500.